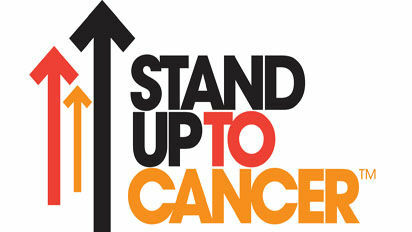 Channel 4 and Cancer Research UK are joining forces to launch ‘Stand Up To Cancer' in the UK. Television, music and film stars will come together in October in a new national fundraising event to galvanise the public in the fight against cancer. The on-air season will build over a whole week on Channel 4, culminating in a live fundraising entertainment extravaganza. The season will deliver a range of Channel 4's factual entertainment and health programming and feature some of C4's biggest names including Alan Carr, Davina and Dr. Christian Jessen. Gwyneth Paltrow says: "Like so many people all over the world, I know what it's like to lose a loved one to cancer; it took my Dad in the prime of his life. Stand Up To Cancer has the power to revolutionise the way we fight this disease, by uniting doctors, scientists and patients in groundbreaking research. This special broadcast will mark a wonderful milestone as SU2C evolves into a true global movement." Jay Hunt, Chief Creative Officer of Channel 4, says: "Sadly most of us - more than 1 in 3 - will be touched by cancer at some point in our lives. Stand Up To Cancer is about doing what Channel 4 does best - focusing attention on an important issue using entertainment and comedy. We hope to raise vital funds for trials that could save lives." Dr Harpal Kumar, Cancer Research UK's chief executive, says: "We want everyone in the UK to unite and stand up to this devastating disease. We've made incredible progress in the last 40 years but there's so much more to do. It's not just technology or knowledge that we need to win our fight to beat cancer - it's funding - and every pound we raise is a step closer to achieving our goal to beat this disease. We are entering the ‘golden age' of cancer research - but each and every one of us can stand up and make a difference right now to come together to raise vital funds for clinical research, accelerate progress and ultimately save more lives." "Worldwide, cancer now takes 8 million lives each year, and experts fear that number will more than double by 2030," says Lisa Paulsen, President and CEO of the Entertainment Industry Foundation and Co-Founder of Stand Up To Cancer. "Reversing that trend requires a truly global movement, and we're honoured to have Cancer Research UK and Channel 4 join in helping build it." "This collaboration will allow us to make an even greater impact in the world of cancer research, and engage the people of the UK in an inspiring initiative to end cancer's reign as a leading cause of death," says Stand Up To Cancer Executive Leadership Council member Pam Williams. Funds raised through the Stand Up To Cancer campaign will go specifically towards the UK's leading clinical research, ensuring that new treatments get to patients faster. UK-based researchers at hospitals, universities, charities and research institutes across the UK will be able to apply for grants from the Stand Up To Cancer fund through an open call for proposals. Reflecting the collaboration with the USA, 20 per cent of funds raised will support UK-US collaborative research to develop state-of-the-art new treatments to benefit patients here in the UK.